You are here: HomenextTransportnextTransport - shipsnextC P DISCOVERER leaving Tilbury. 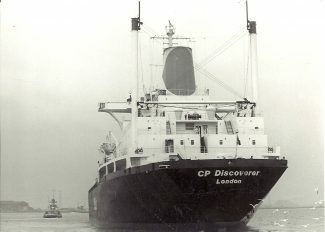 C P DISCOVERER in the River Thames. A 1970s container ship owned by Canadian Pacific.